TAKE THE JOURNEY….to wine country …without leaving the neighborhood. Waters Edge is a craft winery located right down the street. We bring in grapes from around the world and make a wide range of wines right here in Colorado. 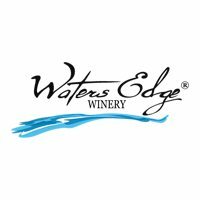 Whether you enjoy a delicate Sauvignon Blanc or a more complex and smoky Nebbiolo, Waters Edge has something for your palate. Come and relax in our comfortable and soothing environment. Sample new wines as part of a wine tasting. Browse our shelves for a large variety of bottled wines, or bottle your very own personalized vintage under the guidance of our winemakers. Visit our fermentation room to discover how wine becomes the delectable libation that it is. Join us for one of our special event evenings and learn about wine and food pairings, create some art, learn how to pair wines with foods, or relax with a free massage once a month! Don’t miss the variety of live entertainment offered on Friday and/or Saturday nights.